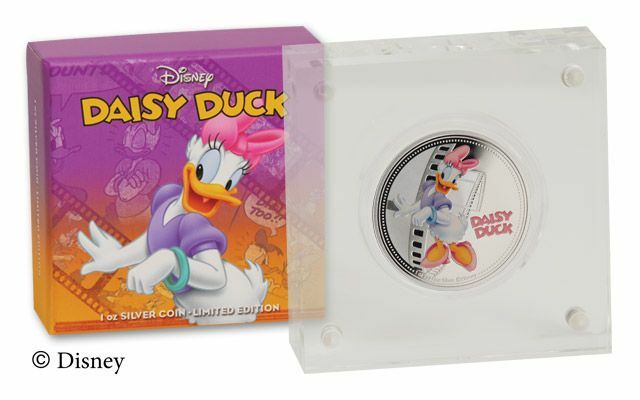 She first appeared with boyfriend Donald Duck in a short film titled Mr. Duck Steps Out. 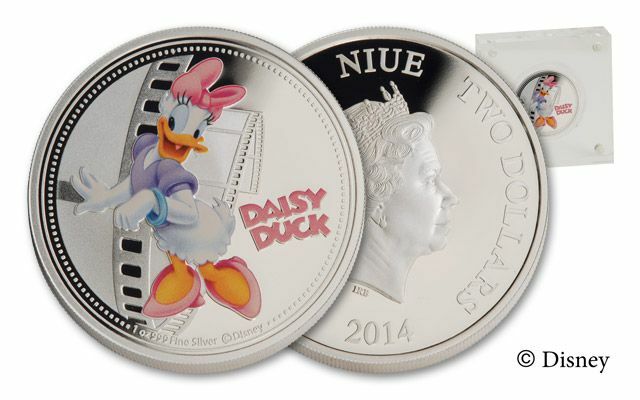 A sweet, fun-loving all around glamour girl, Daisy Duck often appears with her best friend Minnie Mouse. 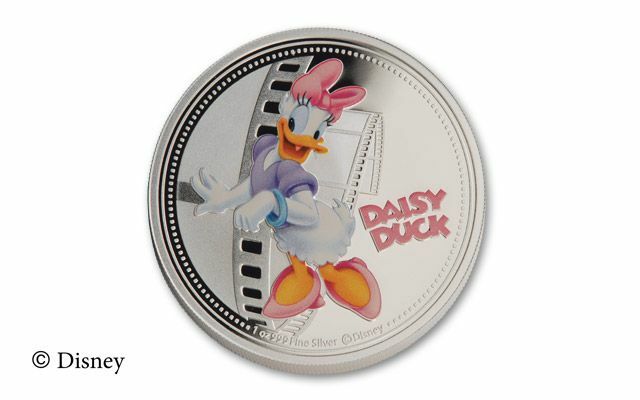 This 2014 Daisy Duck Silver Proof is struck in one ounce of 99.9% silver, and Daisy poses ‘dressed to the nines’ in her best blouse and bow on the reverse. 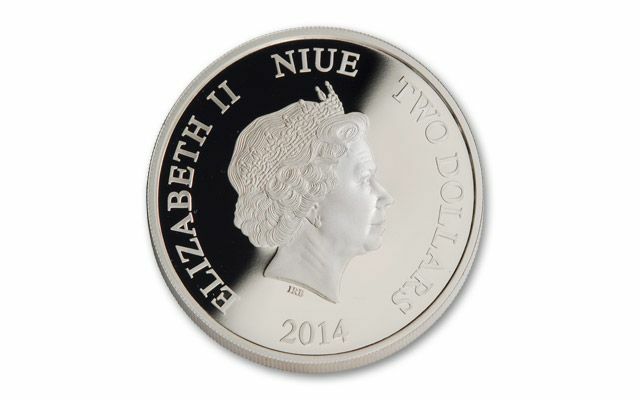 Each $2 proof features an official profile of Queen Elizabeth II. Yours to cherish for years to come, each comes with a numbered certificate of authenticity and official Mint packaging.